Impact travel is an umbrella term that includes ethical tourism, voluntourism, sustainable tourism, and even ecotourism. Travel helps us grow. It expands our worldview. It gives us a new perspective on social norms and helps us to appreciate the cultural richness of our world. Travel helps us better understand the complexity of our connectedness, and become more mindful, inclusive humans. And travel is fun! While traditional tourism and impact travel are not mutually exclusive — lounging, beach-vacations or retreats have their place— traditional tourism can be a much more passive travel experience. 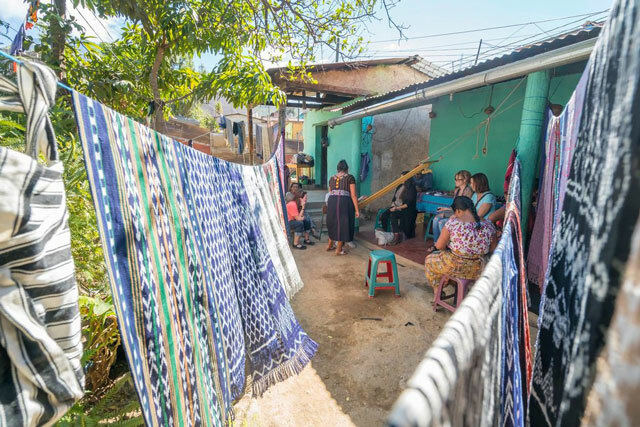 Where as impact travel, such as home-stays, volunteering on farms, working with children, or taking a cultural immersion tour will not ability to make a beneficial impact on the communities you’re visiting, but offer authentic shared cultural experiences that would otherwise be missed. Weaving tour with Maya Traditions. Travel is One of the Best Ways to Spend Your Money. In short, investments in experiences add much more value our lives, and our happiness levels, than material goods do. Travel is an excellent way to experience new things. For most, this massive increase in tourism really isn’t a huge surprise as access to travel information, affordable flights, and services like Airbnb and smartphones equipped with GPS are the norm. Add in constant travel inspiration from Instagram and it’s hard to imagine the tourism industry is not booming. So how can you increase your joy factor, support development efforts, and have amazing Instagram’s? Enter impact travel. Impact travel can be especially powerful when guided by the idea that we all have things to teach and we all have things to learn, so make sure you sign up with an open mind. And thanks to the ‘The World Tourism Organization (UNWTO), a specialized agency of the United Nations (UN), when impact travel is implemented correctly they directly support the efforts of the UN’s Sustainable Development Goals. So, you can have your cake and eat it too! Well almost. Flights are a huge contributor to carbon emissions - so try to take fewer international flights, and make your stay longer instead.